I confused a friend last night when I said, “Hey! 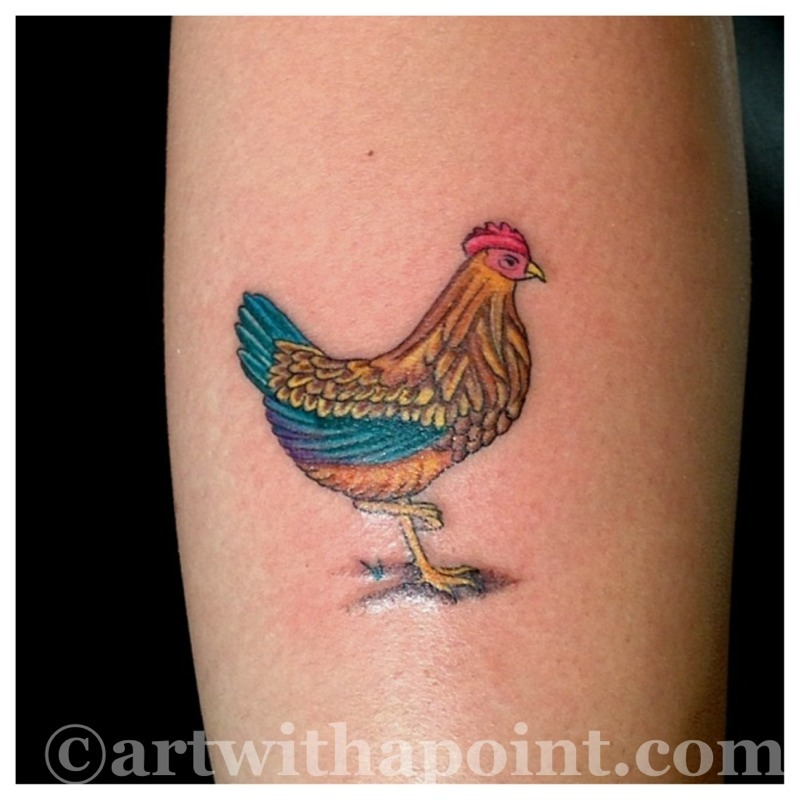 I tattooed a chicken today!” Because she thought I meant I tattooed an actual chicken, when really I tattooed a chicken on an actual human. Yeah. So I just wanted to clear that up.